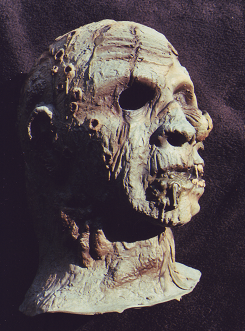 Thanks for that Franktastic round-up of Savage Eye Frankenstein masks, GoryGlenn. That 2018 version looks alive .. ALIVE! 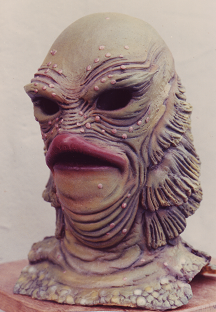 Creature masks have probably cost me more money than any other character in my collection. The mere thought of spending another dime on one makes me shudder. Those both look great! 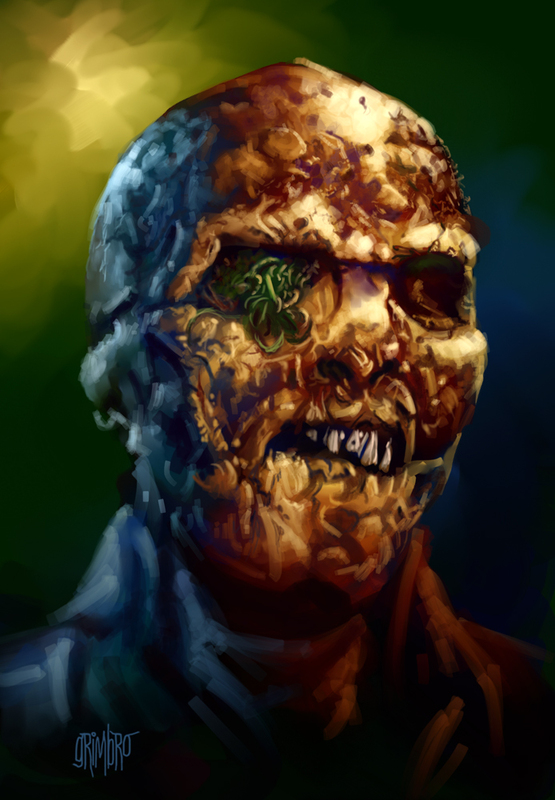 The Forum mask that I have and others I've seen have the gills painted like the pic below which isn't nearly as nice as your examples but for $50 it's a great mask. I corrected my post on the SE Frank masks. The latest version came out in 2017 rather than 2018. Whoops. 2000 Don Post Studios "B. Garret Theta"
that BGT was supposed to be a resurrected vampire. Thanks for that fine review, jupiter2. Thank you all for your contributions and to everyone, both those that post, and those that browse, for helping to keep this thread and this forum alive! Nice vid jupiter2. You're lucky that your Chinese DP Retro masks are surviving well. I may have posted this before but they have a nasty reputation for melting. The theory is that brass or copper spigots were used for pouring the latex and that contaminates the latex. I was gifted a DP Retro Mummy 5000 BC by Dr. Shocker that has gone to his final grave due to this issue and HMA member Doh! had a DP Traditional Werewolf that did the same thing and Maskahuna has a DP Demon that was headed that way but he foam filled it in time to save it. He advised me to do the same with my Mummy but I didn't and now he's gone. I'd advise checking any Chinese DP masks you own periodically just in case. Congrats on the milestone, jupiter! Glenn is right: I had a werewolf melt on me after only about 3 years of ownership. It was an excellent mask, too! 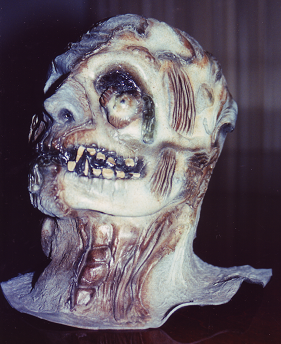 Over the years, I also had melting issues with a Michael Myers, Leatherface, and Greedo. I sure hope that TOTS is using better latex! I sure hope that TOTS is using better latex! I don't think there's anything to worry about with ToTS. They're made in Mexico and the melting problem is specific to Chinese made masks during that DP time period to my knowledge. 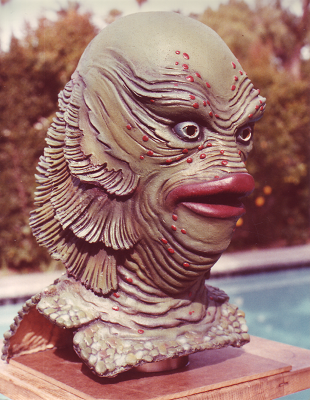 Wanted to share this cool Madmen FX "Strange Monster" mask. He's been re-haired and foam filled with acrylic eyes inserted by the best, Maskahuna! Pics by Maskahuna. I take possession of this bad boy this weekend. Thank you my friend, I'm very excited! You've exceeded all my expectations! He looks terrorific! Stellar job! That's quite beautiful, actually. Holy Cow,that's one beautiful GS Frank you got Glenn.The paint job and hair work is fantastic.Now your problem is finding a space to put this guy in your ever growing collection.The best pal. Thanks guys. 'Huna did a stellar job! Love the histories behind your videos, jupiter. And yeah, this was totally ripped off from the unicorn mask!